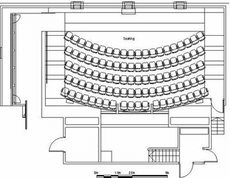 The Centenary Auditorium features comfortable tiered seating and state-of-the-art audio-visual equipment. This venue is available for daytime and evening hire. Evening: Combine a presentation with a networking experience in one of the Gallery’s function areas, or with a viewing of one of the Gallery’s major temporary exhibitions. Daytime: Hold your conference in the auditorium and utilise the function space on ground level for morning tea/lunch/afternoon tea. 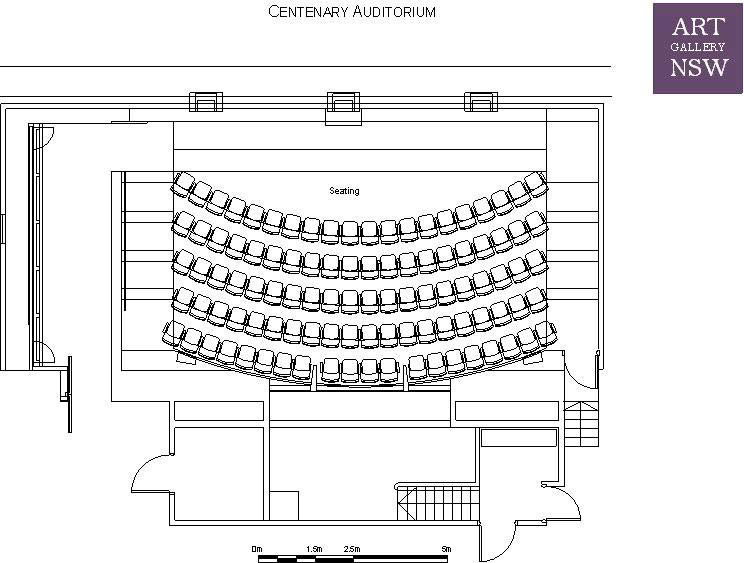 Note: no food or drinks allowed in the Centenary Auditorium.